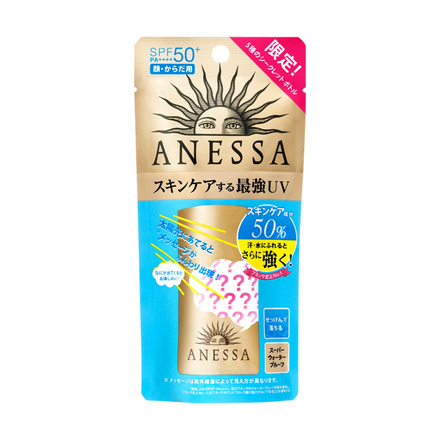 I buy this every year. 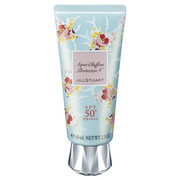 I got the 60ml one, not the limited edition 90ml. 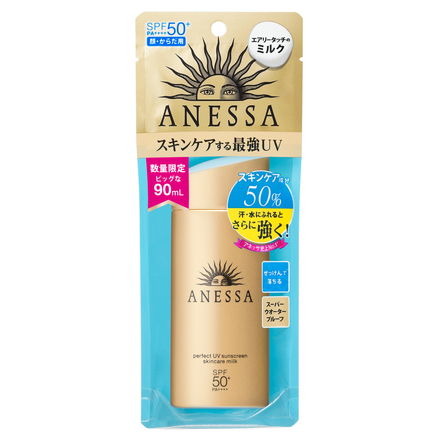 It's popular with foreign tourists too, so I had some trouble getting my hands on it. 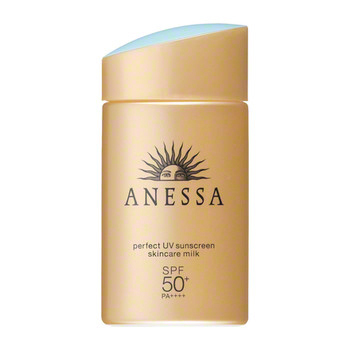 The UV rays in spring are the same as in September, so if I'm spending longer than an hour outside, I always have to wear SPF50 PA++++. 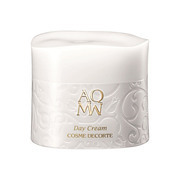 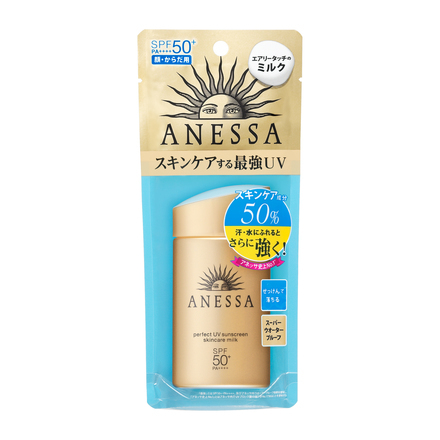 Every year this feels more comfortable on the skin, but if I use the milk type on my face it feels like it creates a film that I hate, so I use this for my body. 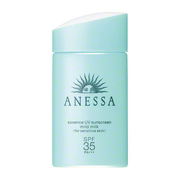 For my arms, legs, and chest, I get about a month out of a 60ml bottle with daily use. 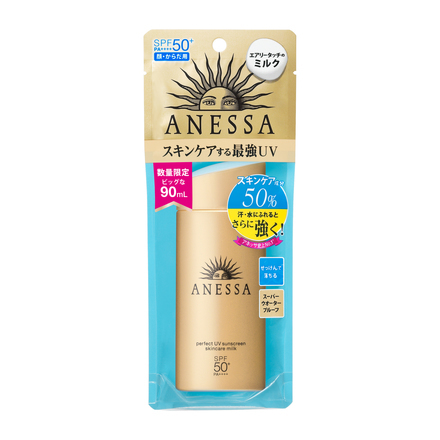 But compared to the sunscreens you can get for a couple hundred yen, I barely ever tan with this. 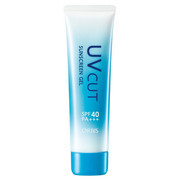 When I'm starting to feel sick, I often get breakouts, but basically my skin is fine. 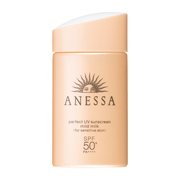 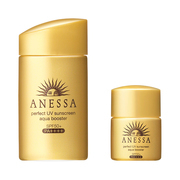 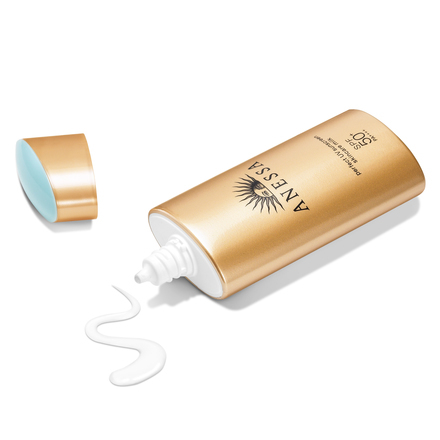 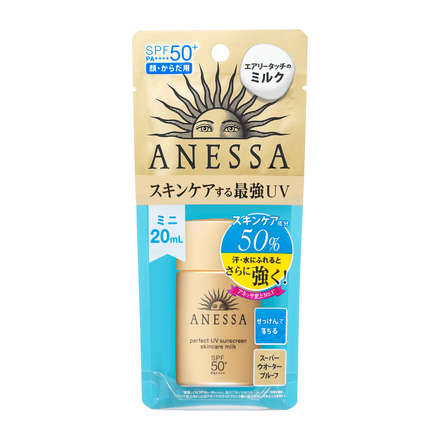 Since I started to used Anessa, I haven't used much hand cream and the backs of my hands look great, which is why I think sun protection is the most important thing. 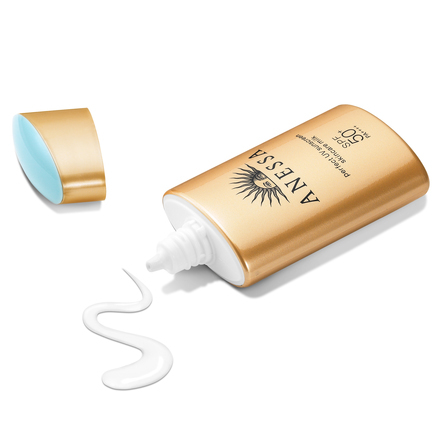 If it works for your skin, I absolutely recommend it. 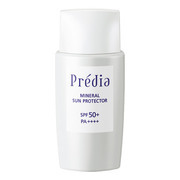 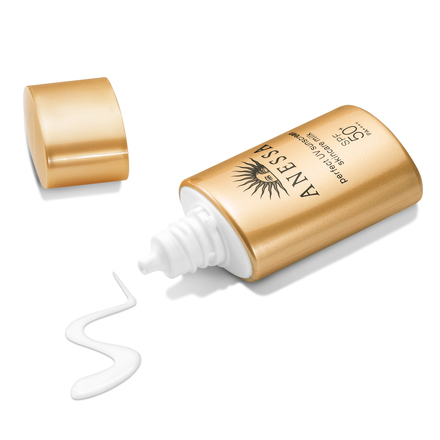 SPF50+ PA++++ The most powerful* UV sunscreen with over 50% of skin care ingredients. 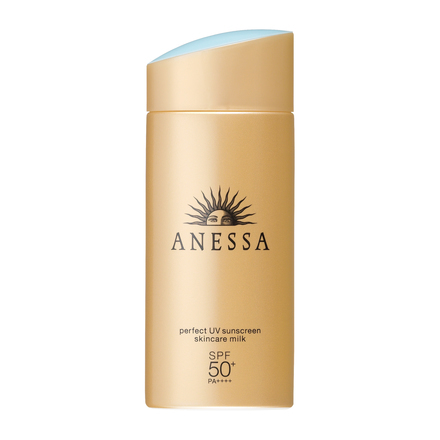 This sunscreen becomes even more effective when in contact with sweat and water. 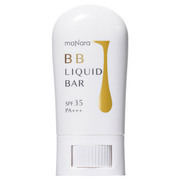 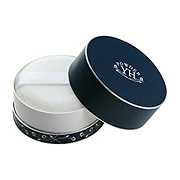 A face and body sunscreen with Aqua Booster EX technology and can be easily removed with soap. 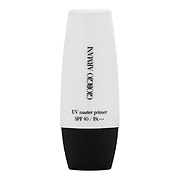 A super waterproof formula, tested over 80 minutes underwater for durability. 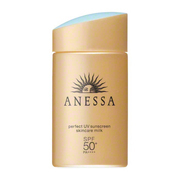 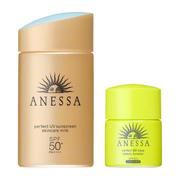 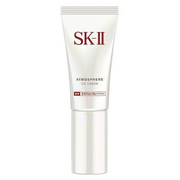 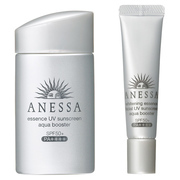 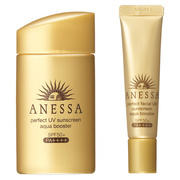 *Most powerful with SPF50+・PA++++ properties and also for its waterproof effect out of the ANESSA series.